1. The State of the Economy. So the rumor has it that the country is in an econimoc recession. Some have felt it, some haven't, but those that watch the news, listen to the radio, and read the paper are hearing plenty about it. We say, what better way to distract yourself from reality then to stand on top of the highest mountain on this continent? Nothing like a little personal accomplishment on a large scale to help you forget stock market woes! 2. Politics and Religion. I am not sure about other guides, but on my trips, one of the only hard and fast rules we have is that discussion on politics and religion must be kept light and short. If you've had your fill of Palin, Obama, he said, she said and the like, fear not, you can escape with us for a few weeks. 3. Denali Registration Fee, aka Money. 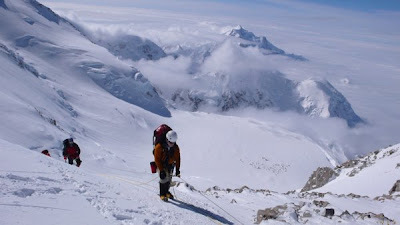 Another hot topic as of late is that there is a proposal on the table at Denali National Park to raise their mountaineering use fee from $200 per person to $500 per person in 2010. If you want to sneak in while the price is low and save yourself a few hundred bucks, 2009 would be the time to do it. 4. There is no time like the present, an oft used and sometimes abused statement that continues to ring true regardless of context. I have always been of the "use it while you got it" mentality. The reality is that none of us are getting younger, and so you might as well give it a shot sooner rather than later. Don't let, "maybe next year" turn into a decade. 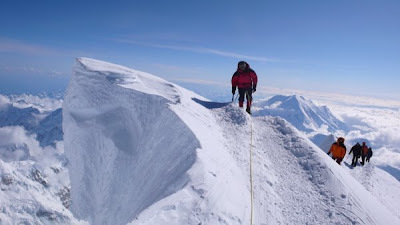 With regard to training, it is easier to keep up than catch up and if you have been maintaining a good base of fitness for a while now in preparation for something cool, now could be the perfect time to step it up and give Denali a go. 5. What Else are you going to Do? Take a cruise? Go sit on the beach for a week or two? Hey wait, that doesn't sound half bad. No really now, isn't 2009 a great time to change the scenery, check out what Alaska has to offer, and finally climb in one of the "Great Ranges of the World?" 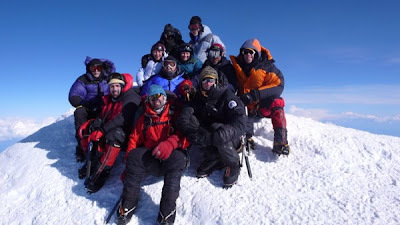 So now that you are thoroughly and completely convinced that 2009 is the year to climb Denali, the next question you might ask could be "Why Should I Go with You?" You shouldn't. Not without some homework that is. There are a lot of differences between services and programs on Denali. 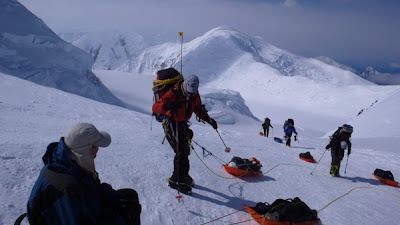 Our Denali program page details our approach to this climb and history on the mountain, including a wealth of information on training, gear, and the climb itself. Check it out and give me a call if you want to talk more about your qualifications and how those compare to the requirements for joining the trip.